UPDATE:The BATF has band the production of numerous solid brass bullets. The .223 is now on the BATF "hold" list therefore making these .223's precious and as of this time, almost impossible to obtain. 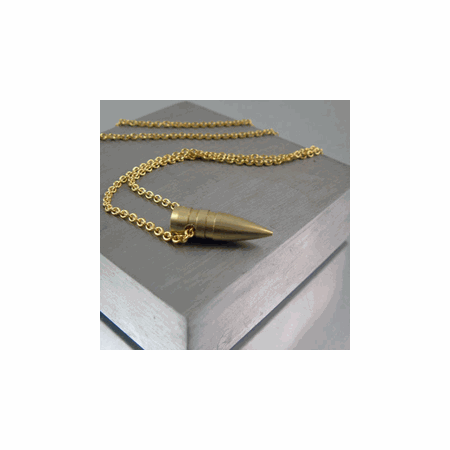 If you searched for a .223 bullet head necklace or pendant chances are you wouldn�t find it. 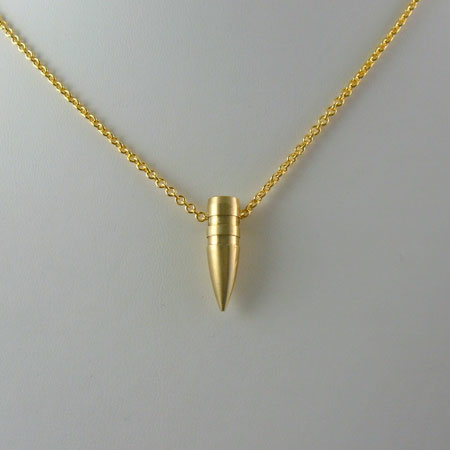 What you'd find is a .223 bullet with the casing or some cheap foreign imitation. 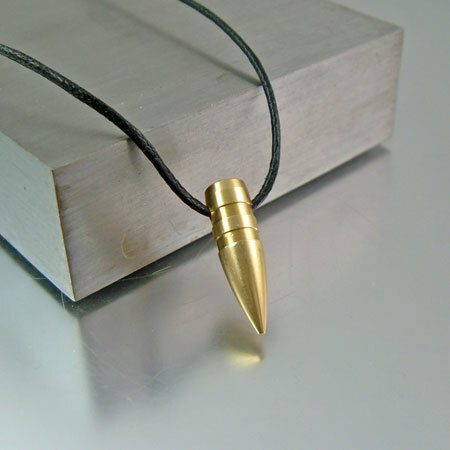 This simple yet very stylish bullet necklace is made from an actual .223 bullet head. It's a perfect size for every day wear by either a man or woman. 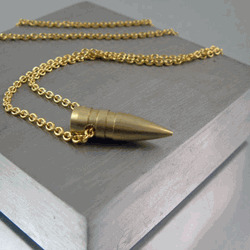 Makes a wonderful gift for shooters or military personnel. Optional GP 2mm link chain is available in different lengths. Chain is excellent quality and strength. .223's banded solid bullets are used in .223 rifles, AR15 and Mini 14 military rifles as well as a high-velocity .22-250.